Virtualization has transformed work from a place you go to something you do regardless of where you are located. While beneficial, ensuring an optimal application experience for mobile and remote users is quite a challenge for the networking team. 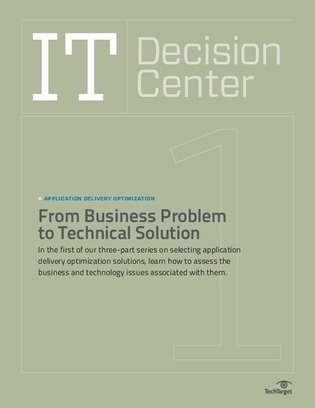 This first section of SearchEnterpriseWAN.com’s three-part guide outlines the business and technology issues driving the adoption of application delivery optimization (ADO) solutions and aims to help you select the best ADO solution for your enterprise. View now to learn more!